Ram Pratap Palace located just off the lake Fateh Sagar in Udaipur "the city lakes and palaces", an enchanting budget hotel combines old World charm with modern comforts. 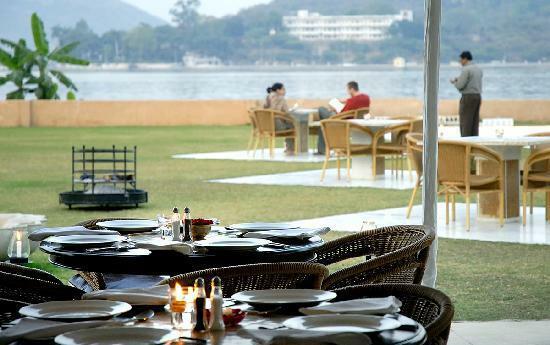 Ideally located on the banks of the lake Fateh Sagar is the spacious Raaj Bagh Garden Restaurant, which is accross the street from Hotel Rampratap Palace. The hotel is mere 5 kms away from the railway station and 25 kms from the airport. A friendly team of qualified therapists offers a full range of massage and beauty treatments. The palace hotel offers a breathtaking view of lake Fateh Sagar and the beautiful Aravalli ranges. Disabled Facilities, Restaurant, RO Water Purification System, Currency Exchange, Smoking Rooms, Family/Child Friendly, Travel Counter, Front Desk, Backup Generator, Room Service. Safe Deposit Locker Facility, Air Conditioning Room, Basic Bathroom Amenities, Wakeup Calls, Iron/Ironing Board, Room Heater, Television Room, Child Care, Private Bathroom, Desk. User reviews for "Ram Pratap Palace Hotel Udaipur"